My laptop keeps scolling down on everything. Discussion in 'other software & services' started by cheater87, Jun 1, 2008. I don't know what can be causing this. I tried restarting it but as soon as I get my desktop loaded and I click on an icon it starts scrolling down again. I try my best and finally open FF and go to bookmarks and it scrolls down there also. Same with the start menu, right click and program list. Now I can't open anything because it scrolls down to the bottom before I can even click on it. I'm on my PS3 typing this up. What could be causing the downward scrolling? 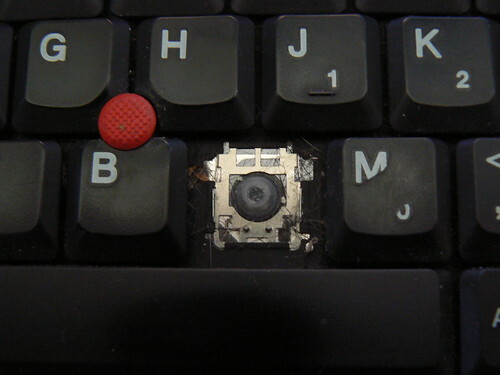 Could be a stuck key, maybe the "Down arrow" key on your laptop or a mouse key issue? What happens if you try an external keyboard and/or mouse? Tapping the suspect key(s) repeatedly at the edges & corners might work. Did you try an external keyboard and mouse? I don't know for sure this is the problem, just a theory. Thanks Wat the tapping seemed to fix it. I found the culprit as well.... CAT HAIR!!!!! So I'm going to see how to take out the keys this week and give them and the board under it a good cleaning. That darn cat! Glad that did it. Canned air should work well, too. this is a appropriate time to wash the keyboard. i'm into dogs not cats. I use compressed air outside where dust clouds become dust in the wind. Just remember to have the cat on a short leash. Once a while I remove all my keys, use a vacuum cleaner to clean the board and put the keys in the dishwasher (make sure you put them in 'something' first, you could also clean them by hand of course). To clean the corners and stuff I use canned air. Owh.. Don't eat near your computer.. The amount of breadcrumbs that comes out of my board every time I clean it could easily make a whole new bread.. . Depends.. As far as I know, laptop keyboards use a little mechanism that's makes them that soft to touch. They are usually a bit harder to peel out. My personal experience is that getting them out isn't the big issue, getting them back in is. See if you can try it out using a key you don't use often. Don't push to hard, they are pretty strong but we're not trying to break it . I wouldn't recommend doing that. 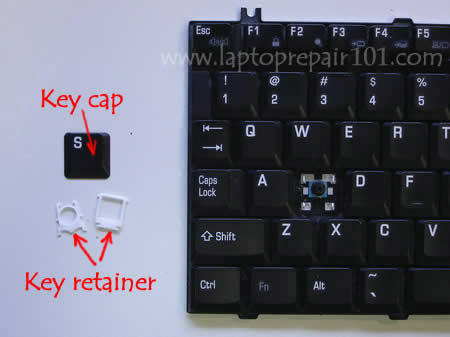 Use a high pressure air can to blow away debris between the keys and then use an alcohol swab to clean each key surface.